The senior grade fixture details has now been confirmed with the first match to take place will be an elimination semi final at Adelaide Shores Football Centre with third placed WT Birkalla taking on sixth placed Campbelltown City on Friday 21 August. 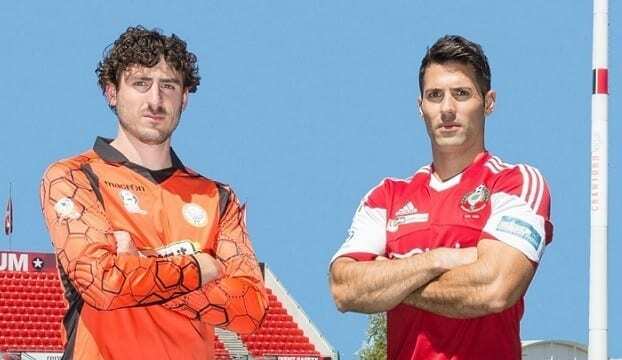 West Torrens Birkalla and Campbelltown City will put it all on the line when they clash at The Shores in the first elimination final of the PlayStation 4 National Premier League South Australia. Only one team can progress and it’s sure to bring the best out of both teams. Birkalla keeper and Captain Julian Torresan gave his thoughts on how he rates his side’s form entering this match. Out of all the teams participating in finals, Birkalla have conceded the most goals and Torresan was asked if something needs to be done to rectify that. Birkalla suffered a 1-0 loss in Round 22 to Campbelltown but Torresan dismissed the significance of that result. “If you ask anyone that was there at the game everyone says to us that we should’ve won the game hands down. This time around it’s finals and Torresan spoke about what the message has been to his side. Lets get behind the boys and come out in numbers to support the Mighty Birks in what we hope will only be the beginning of something special. Our U18’s are also heading into week 1 of the final series this weekend. The game will be played on Saturday, 22nd August against Croydon Kings at Polonia Reserve. Kick Off time 2:30pm. The boys need all of your support to take them to the next stage so come and cheer them on!